To keep the event free to the public, the SIDC raises money to put on the event through numerous efforts. One such effort is our annual 50/50 Raffle. The Grand Prize value depends upon the number of tickets sold and is equivalent to half the value of the tickets sold. Tickets are $10 per ticket. 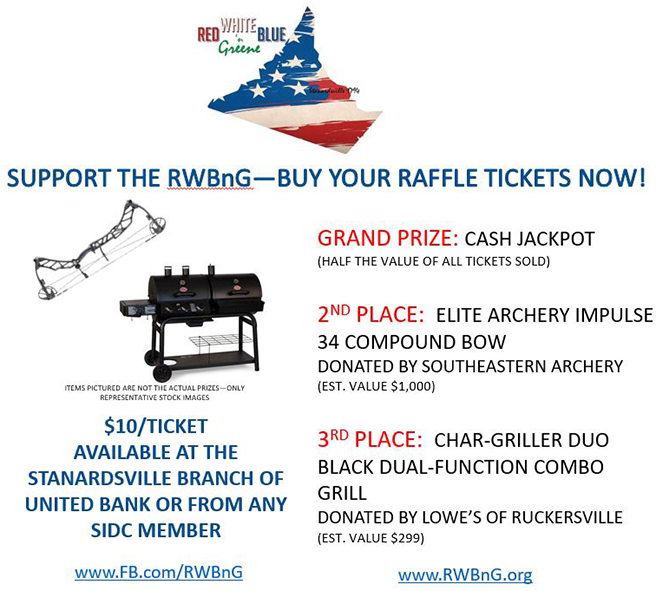 The winning ticket will be drawn during the evening program of the RWBnG event held on July 4, 2018. The winner does not need to be present to win. The winner is responsible for all taxes and withholding requirements. The winner must present photo ID and original winning ticket to collect the prize.